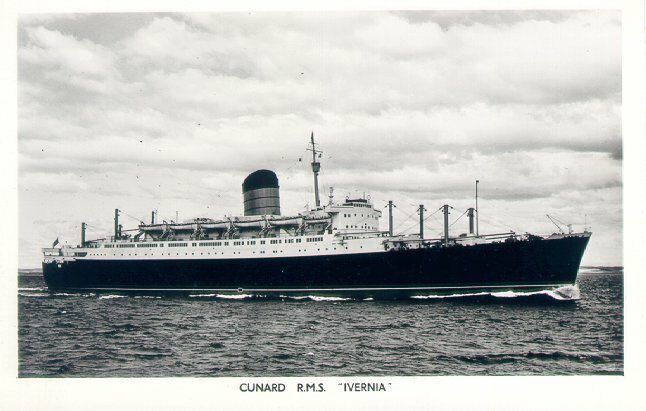 Cunard's second Ivernia was built by John Brown & Co., Clydebank, and was launched in 1954. 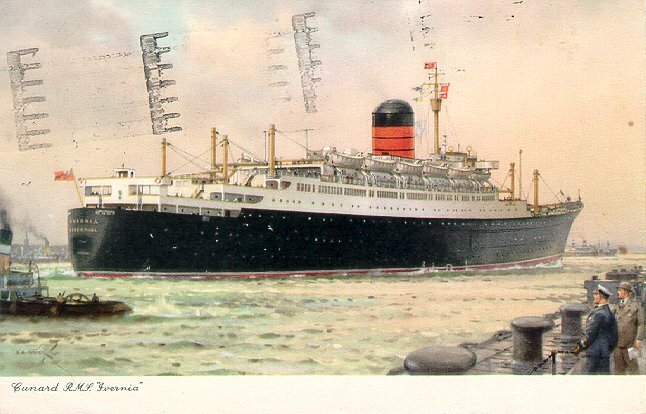 Her maiden voyage on 1 July 1955 was from Greenock to Montreal, but the return leg of that voyage ended at Liverpool. She then served Canada from the Mersey until 1957, when she was transferred to Southampton. During the winter of 1962-63, she was extensively rebuilt and emerged as the green-hulled cruise ship Franconia III. (Her sister Saxonia II was rebuilt and renamed Carmania II at the same time.) Franconia typically cruised out of New York in summer and Port Everglades in winter. She also served on an unsuccessful Rotterdam-Canada service in 1968. By 1969, Franconia, Carmania and Queen Elizabeth 2 were Cunard's only passenger ships among a fleet of about 60 and in 1971 Franconia and Carmania were withdrawn from service. After being laid up from 1971 to 1973, Franconia was acquired by the Soviet Union with Carmania and renamed Fedor Shalyapin.